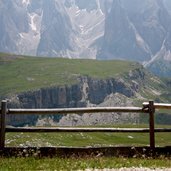 This hiking tour leads us on famous Mt Sciliar, the 2,563 m high emblem of South Tyrol. 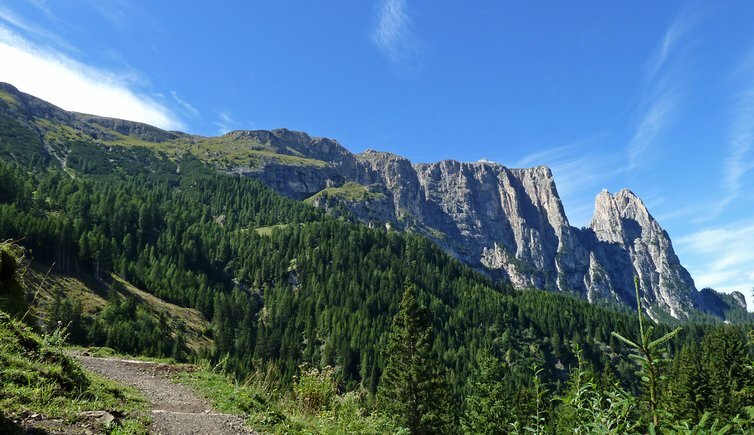 The hike to Mt Sciliar, the emblem of South Tyrol, takes us through a wonderful landscape. Sit down, relax and enjoy the surroundings - here you can gain strength for everyday challenges. 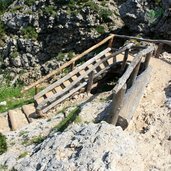 The hiking path leads us from Compaccio to the Saltner and Monte Pez Bolzano mountain huts. View on the so-called “Tourist Trail” (Touristensteig, in German). This hiking path was harmoniously inserted into the landscape. Panoramic view from the trail to the impressive Mt Sciliar. 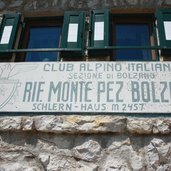 We’ve reached the Monte Pez Bolzano mountain hut - it is recommended to stay here overnight and to watch the sunrise the next day. 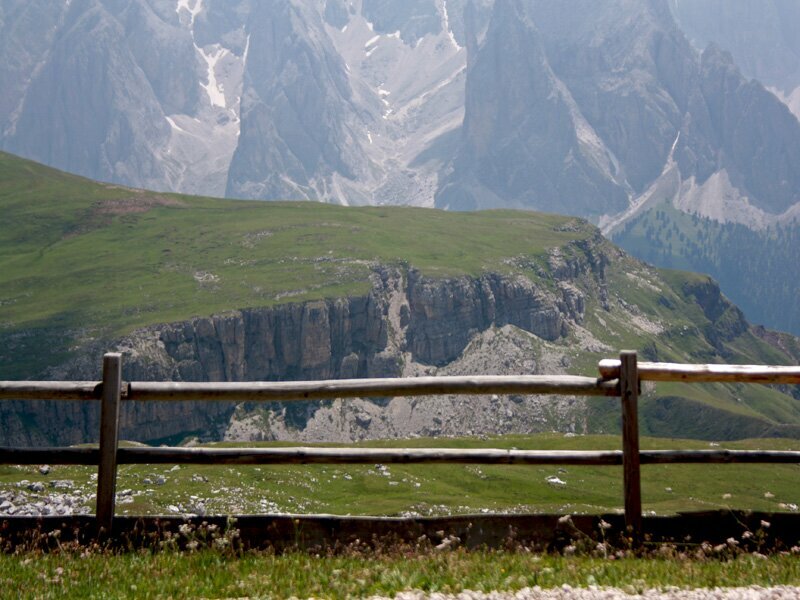 The Sciliar high plateau with the rock pillars of the Dolomites in the background. From here you can continue to Mt Pez, the highest point of the Sciliar massif. 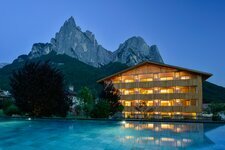 Famous thanks to its bizarre shape, the Sciliar is the emblem of South Tyrol. 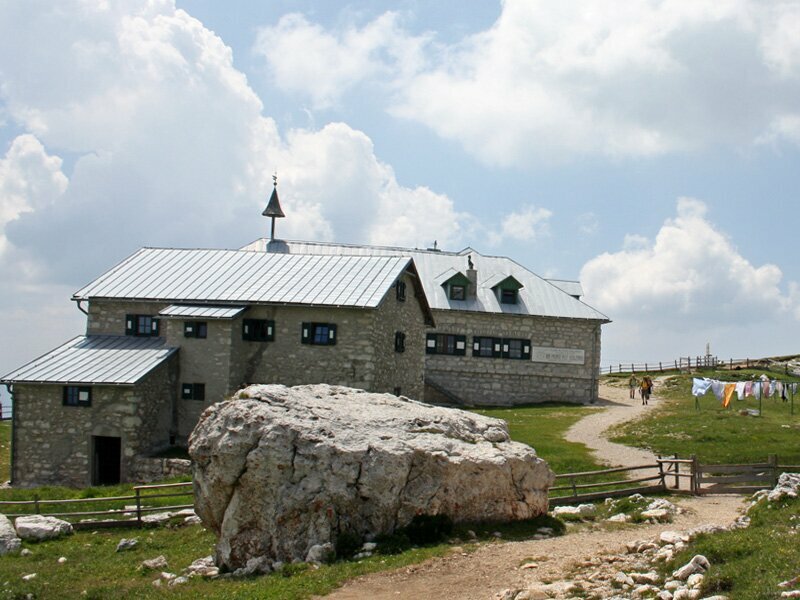 The summit is called Pez and it is situated at 2,564 m. It‘s a 20 minute walk from Rifugio Bolzano, where you can also stay overnight. It`s not the highest mountain of South Tirol but often called the most famous one because of its interesting form. We went to the Sciliar to capture a stunning sunrise. After parking our car at the parking space near Compaccio, we are hiking in the direction of the Saltner Tschapit hut, with some snacks and a lot of water in our rucksacks. The Saltria mountain hut (1,731 m asl) lies at the foot of Mt Sciliar. This first section of our hiking tour crosses a beautiful landscape of forests and lush meadows and is also suitable for small children. 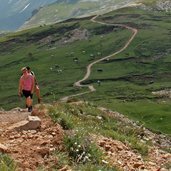 From the mountain hut, we are continuing our hiking tour towards the Monte Pez Bolzano mountain hut on a serpentine trail, which leads us across steep slopes and mountain pine woods. 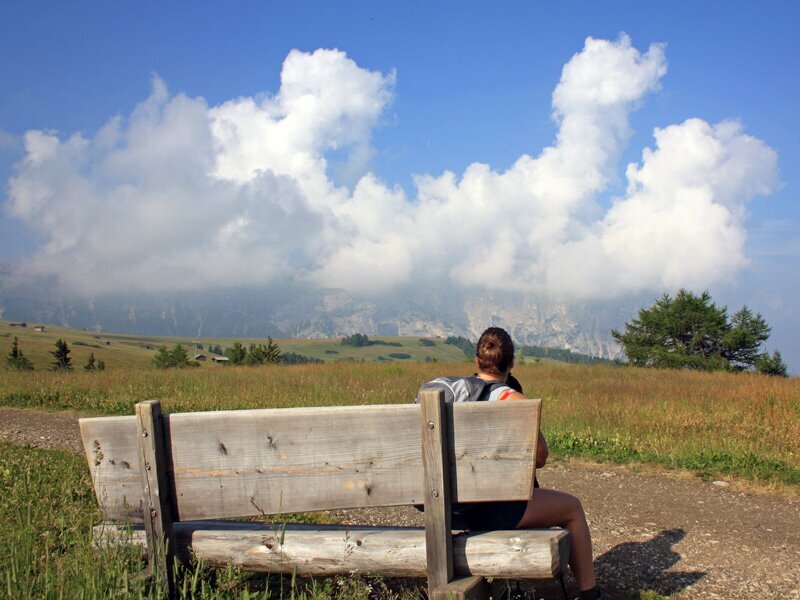 This “Tourist Trail” and offers breathtaking views on the entire Alpe di Siusi and its mountain panorama. If you are lucky enough you can also hear, and maybe even see, some marmots. After about 3 hours of hiking and some short rests we arrive at the Sciliar plateau with its endless meadows and pastures with grazing cows. 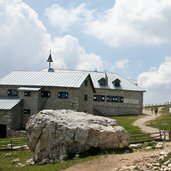 The Monte Pez Bolzano mountain hut, where we taste some delicious typical dishes, lies at 2,475 m asl and offers wonderful views of Mt Sassolungo, Mt Sasso Piatto and the Sella Group. 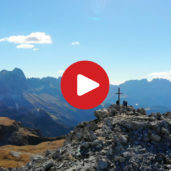 If you want, from here you can hike to Mt Pez, the highest point of the Sciliar massif with its peak cross, in about 20 minutes of walking time, from where you can enjoy a spectacular view of the Adamello and Ortles-Cevedale Group and of the Oetztal and Stubai Glaciers in Austria. After a very pleasant rest in the mountain hut, we hike back on the same way. Arrived at the Saltner hut, we decide to have a dessert before we continue our tour back to our starting point Compaccio. Information: the parking space in Compaccio is reachable only until 9 am. However, we recommend you to start early in the morning anyway. 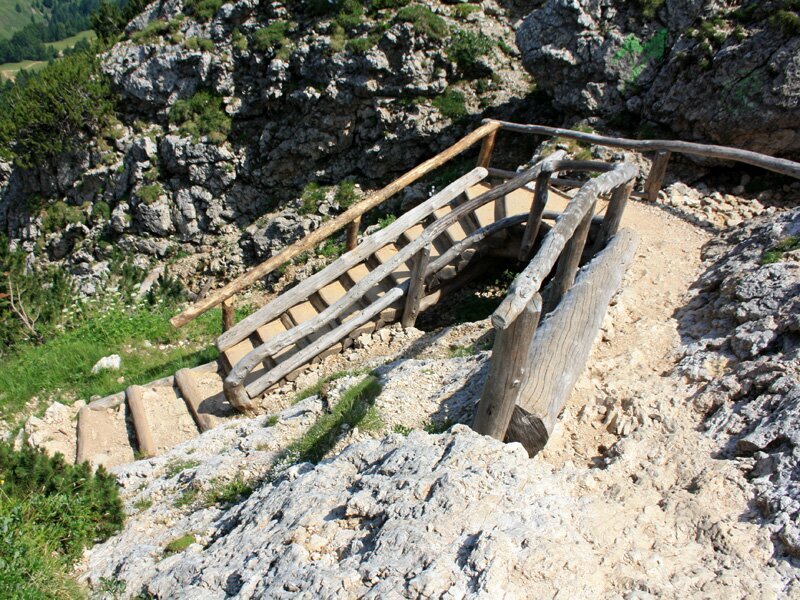 You can also descent on the other side of Mt Sciliar, towards Fié allo Sciliar. Passing the Seggiola alpine pasture (1,919 m asl) you reach the famous “Prügelweg” trail, once constructed to drive the cows from Fié allo Sciliar up to Mt Sciliar. Continuing your descent towards Fié allo Sciliar, you pass the Tuff mountain hut and finally arrive at the beautiful Pond of Fié, where you can dive into the water. 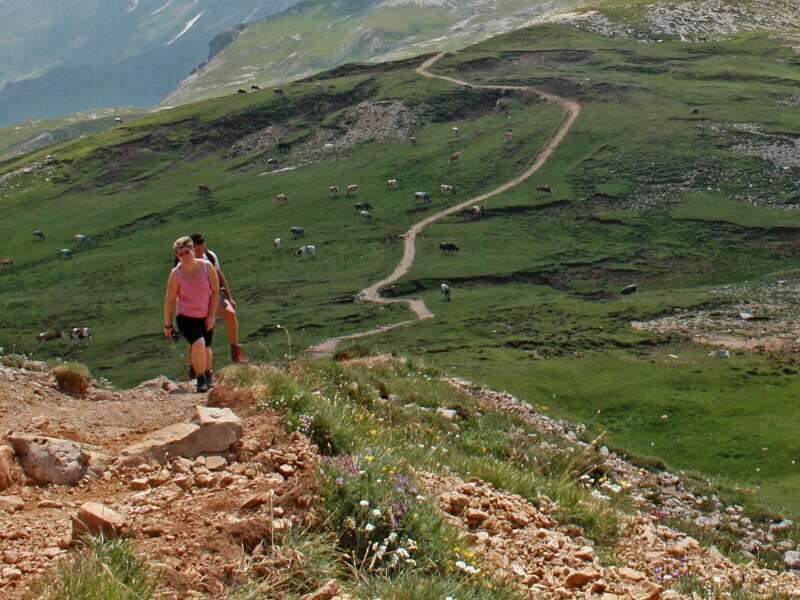 This hiking tour requests some fitness and good physical condition! Please note: when you plan to do this hiking tour, we recommend to get also first-hand information on the conditions of the trail at the site! Suitable for families? Yes, from Compaccio to the Saltner mountain hut. 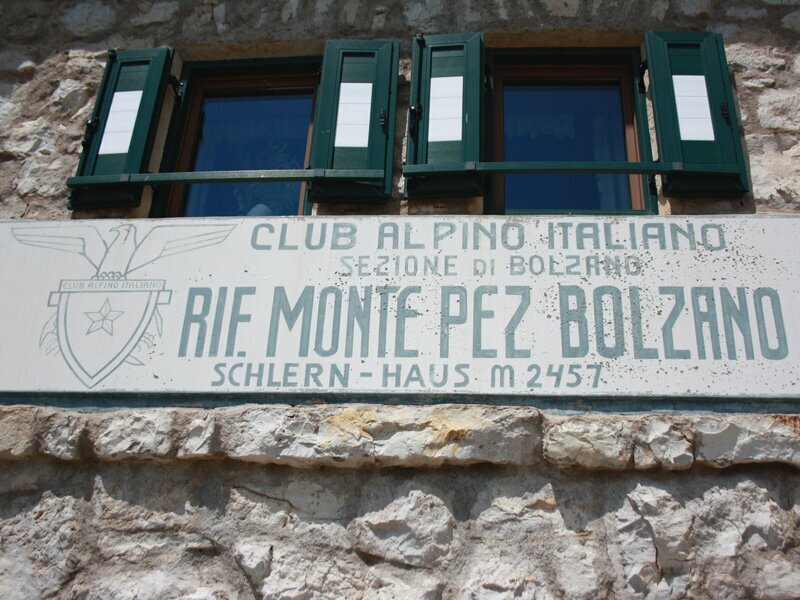 From there to the Monte Pez Bolzano mountain hut a baby rucksack for small children is recommended.